Members of Parliament of Turkey’s ruling AK Party met on Wednesday to endorse Turkish Prime Minister, Recep Tayyip Erdoğan’s presidential bid, should he decide to run. In a meeting chaired by Erdoğan at AK Party headquarters in Ankara, MPs voiced their wholehearted support for his candidacy. 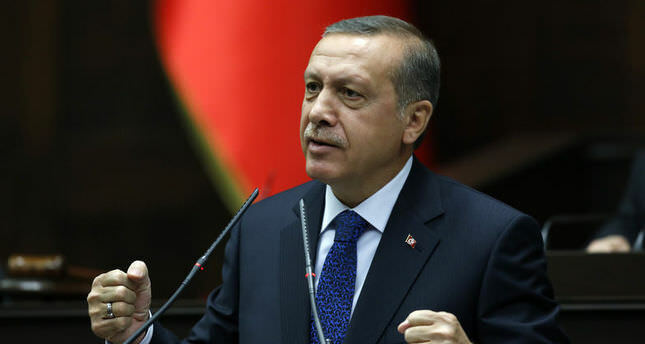 Turkish President Abdullah Gül and Erdoğan are set to discuss the presidential elections, but have not done so yet, the press office of Turkish Presidency said Tuesday. MP from the southeastern province of Diyarbakir, Oya Eronat, said she whole heartedly supports Erdoğan’s run for presidency. MP from the central Anatolian province of Amasya, Naci Bostancı said that he is similiarly supportive and predicted that Erdoğan will win outright in the first round, because of his “huge popular support”. The presidential elections will be held in two rounds, the first of which will be held on August 10 and the second on August 24. The candidate getting 51 percent of the votes in the first round will be directly elected but if all candidates fail to reach that percent of votes, voting will go to a second round.